Want a fun way to “spice” up your life this harvest season? Stay on the vine with our “Pumpkin Pizzazz” food series, where we at Features teach you how to make three delicious recipes incorporating autumn’s ultimate vegetable (or is it a fruit?) — pumpkin! Since pumpkin has such a diverse flavor and has as many possibilities within it as there are seeds, we’ve decided to cover all sides of the food and drink spectrum by making one sweet dish, another salty and the last, a delightful beverage perfect for sipping on a cool fall day. Check out our YouTube channel @HighlanderTV for the first episode of Pumpkin Pizzazz. 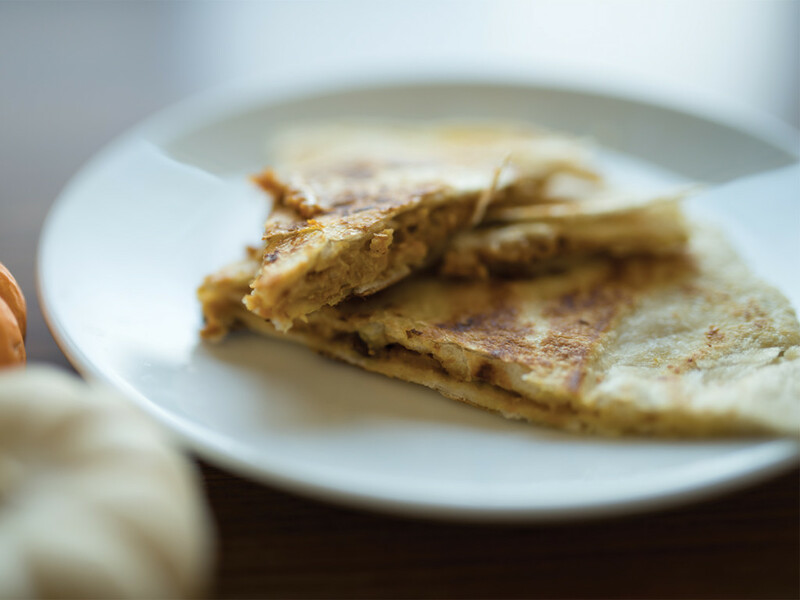 You’ve probably never heard of pumpkin quesadillas before, and to be quite honest, neither had we — that is, before our tongues met this scrumptious creation! The buttery pumpkin flavor, enhanced by a dash of festive cumin, pairs perfectly with the flavorful brie, while the raisins and walnuts add the perfect crunch and touch of sweetness. One bite out of this and you’ll wonder why you never thought of this delectable combination yourself. Add cumin to canned pumpkin and stir the mixture until well blended. Spread butter on one side of each tortilla. On the unbuttered side of one tortilla, distribute the pumpkin mixture until it’s all over that floury blanket of joy. On the unbuttered side of the second tortilla, evenly spread the brie cheese, and while you’re at it, feel free to add more if you love your quesadillas cheesy! 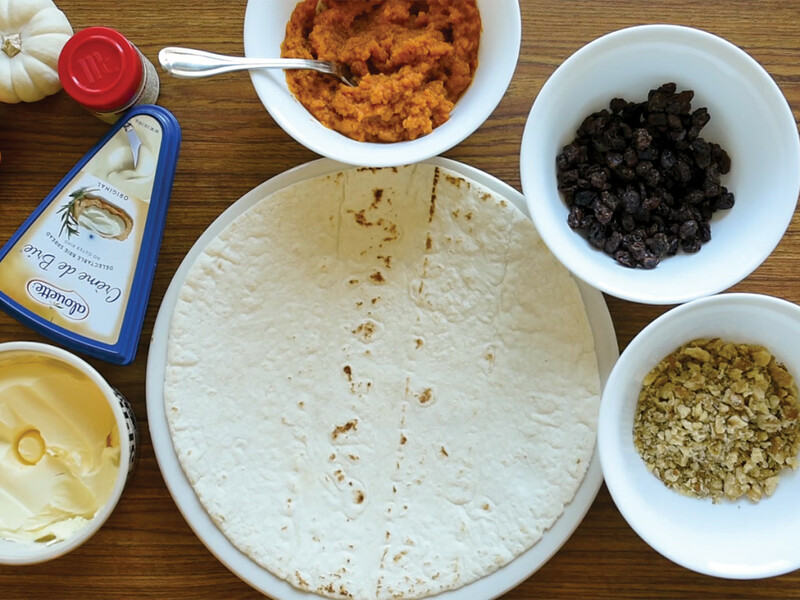 And if you want to amplify the flavor and texture of the pumpkin quesadilla, sprinkle raisins and walnuts on either the pumpkin or cheesy side and combine the two tortillas so that the buttered surface touches the frying pan (you get the drill). Over medium heat, place the quesadilla on a frying pan and flip when the cooking side is a lovely golden brown (about four minutes). 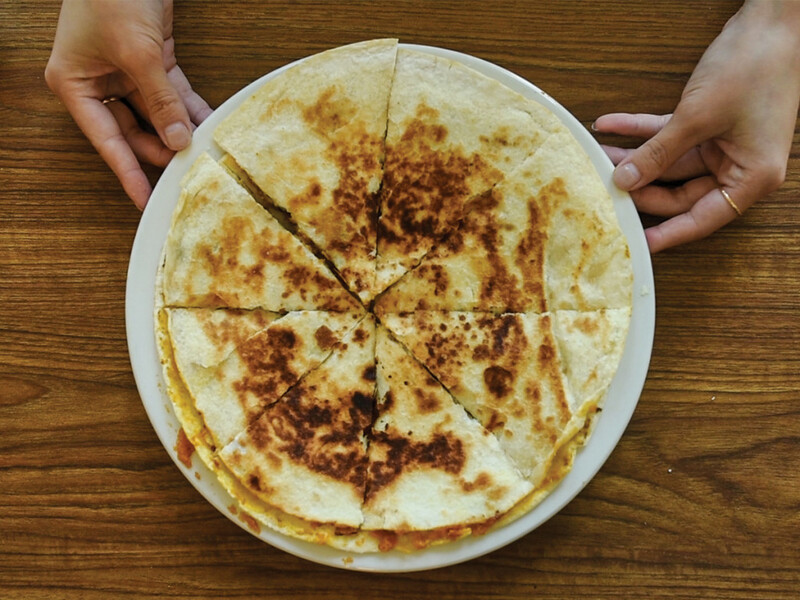 Repeat step number five until you have two sides of crispy goodness and you’ll have yourself a marvelous pumpkin quesadilla ready to be thoroughly enjoyed! One bite out of this and you’ll wonder why you never thought of this delectable combination yourself. Catch us again next week to see what we’ve made for our pumpkin-inspired beverage! If you tried out our recipe this week and would like to share it with all to see, send a pic to features@highlandernews.org for a chance to get it published in our next issue!